Gold came under some renewed selling pressure on Tuesday and has now weakened back below $1280 level. 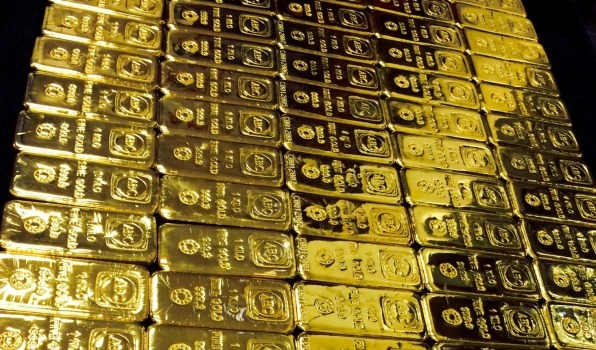 The precious metal failed to build on its modest overnight recovery move and remained within striking distance of over two-week lows amid renewed US Dollar buying interest. A stronger greenback tends to weigh on dollar-denominated commodities - like gold. With investors grappling with uncertainty over the next Federal Reserve Chair, surging US Treasury bond yields helped offset early USD weakness and further drove flows away from the non-yielding commodity. With the only scheduled release of flash Markit manufacturing PMI, today's US economic docket lacks any major market moving data. Hence, the metal seems more likely to extend its consolidative price action around 100-day SMA ahead of this week's US durable goods orders and the advance US GDP figures. Immediate support is pegged near the $1276-75 region (100-day SMA), below which the metal could slide back to $1268 horizontal level en-route 2-month lows support near $1260 level. On the upside, $1283 area seems to have emerged as immediate resistance, which if cleared could lift the commodity back towards $1289-90 supply zone.